We are closed for the Season. Thanks to all our visitors and vendors! FIND OUT ABOUT ALL THERE IS TO KNOW ABOUT OUR FARMERS MARKET! COME SEE US EVERY SATURDAY! 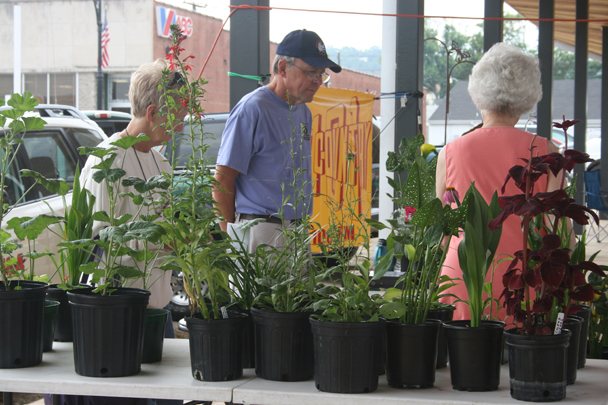 The Covington Farmers Market is open every Saturday from May to October from 8:00 am – 12:00 pm. Come see all the incredible local food available direct from our vendors at our downtown Farmers’ Market. We’re located on the corner of N. Monroe Ave. and Main St., just across the street from the Post Office, in beautiful downtown Covington, Virginia. Come see us soon! We have spots for new vendors each year. If you’re interested in becoming a vendor at the Covington Farmers Market, check out our Vendors page for details on the application process, frequently asked questions, our rules and regulations and the application form. Submit your email below and get updated information about the Farmers Market!